In 2017’s political climate, where ‘reporting unflattering portrayals’ got labeled ‘fake news’, this film was rushed for a timely release. As if the punishing deadline wasn’t proof enough of how seriously Steven took the theme, viewers will find only the subtlest references to Wizard of Oz in this piece. Similar to other sober endeavors like Lincoln, Schindler’s List and Munich, Spielberg restrains the urge to get too playful with his subject. That said…AHA! Discovered a WOO image in this one that makes me want to go back and re-check all the others. It’s all about the stairs. “What makes the muskrat guard his musk?” Much is made in this film of Kay Graham, a woman from the post World War II era, when proper females kept to their assigned gender roles. She must strive for the courage to overcome her lack of confidence as she navigates amidst a storm of testosterone. To paraphrase the cowardly lion, “I’m going in there. Only one thing I want you to do: talk me out of it.” And the guys do try. Some crucial scenes, not to mention movie promos, feature Kay and Ben Bradlee on the steps of Supreme Court. It struck me suddenly that in Wizard of Oz, key moments of courage and steadfastness in the face of adversity are also set on staircases. Dorothy and her entourage must mount stairs to get in past the guard to see the wizard. The lion sings his famous song about courage on stairs. Toto runs for help down the witch’s stairs. Her friends rescue Dorothy after running up those same stairs. Dorothy bears her dire wait for the sands to run out on a small podium of stairs leading to the crystal ball. Even the mountain on which the witch’s castle is perched is a precipice of rocky steps. I have pointed out before Steven’s penchant for ascending and descending between levels of reality. Here, the trip up and down the Supreme Court steps represents an awakening — not only for Kay who realizes what she is capable of achieving, but for Ben, jolting him out of his elite social stance with the ‘governors’ back to that of a hard hitting journalist, a champion of the ‘governed’. One must often cross an intimidating barrier to reach one’s full potential. We experience a fateful wind blowing in the window in one of the very first scenes as Kay awakens. It actually ripples a curtain on the opposite wall to emphasize this main character is about to undergo a huge challenge. 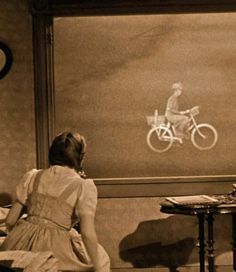 I’ve pointed out this connection to Dorothy’s bedroom window in the tornado too many times to count. When Daniel Ellsberg is shown sneaking the papers out of the Rand offices, note the sinister blue light bathing the set in monotone color. The overhead fluorescent bulb even flickers as in Joe vs. the Volcano. Black and white, sepia tones, and occasionally blue tones as in E.T. are Steven’s way of suggesting an air of hopelessness reminding us of the bleak landscape of Depression era Kansas. Bright morning sunshine streams in through velvet-dimmed restaurant windows, backlighting Ben Bradlee when Kay meets him for breakfast before the crisis begins. 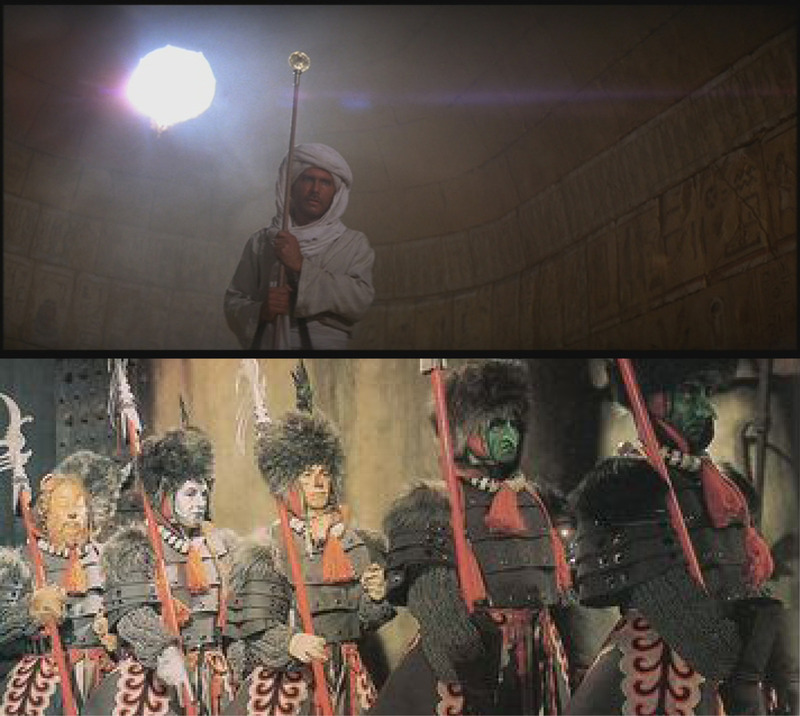 The dazzle of brilliant white light always signals danger ahead for the protagonist(s) in every Spielberg film. Steven’s favorite color combo of red and yellow makes frequent appearance again, livening up otherwise dull building exteriors and interiors. Note the prophetic Art Buchwald/Uncle Sam poster in Bradlee’s office, Have I ever lied to you? Kay wears a red and yellow silk dress in several scenes. Neil Sheehan sports a red and yellow tie. The camera lovingly dwells upon red and yellow cabs, street signs, drapes and carpets. Watch for it; you’ll find no end of examples. By now, I shouldn’t have to remind you…ruby slippers, yellow brick road. In the audio cue department, we do hear three bells ring when Kay declares they will publish the Pentagon papers’ content. Twice the typewriter pings and — to punctuate — we hear a third bell ding from the elevator. Steven likes to mark significant plot peaks with a chime of one kind or another à la Glinda. I was amused at a new take on the “Run, Toto, run!” concept. 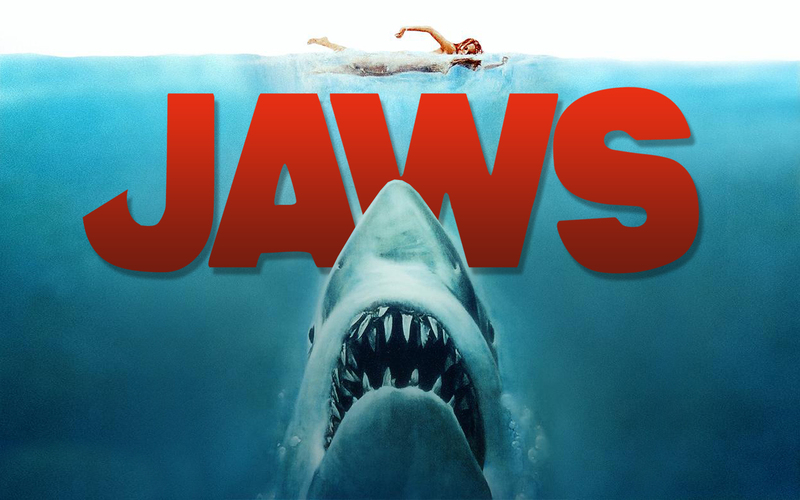 Usually Spielberg shamelessly employs the ‘Run’ line to amp up action and empathy for a beleaguered hero. But in this case, when Kay decides to ‘run’ the story, running involves taking offensive rather than defensive action. Fun twist on Steven’s incitement to excitement. I will admit I was shocked at the lack of a bicycle in a movie about newspapers, particularly in the scene when the Post’s big headline hits the streets. So shocked, in fact, I’m willing to bet the farm there was a newsboy cameo that landed on someone’s editing floor. OUCH, Amblin, who prevailed and why? Too cute? Too retro? Not D.C.-ish enough? No matter, Steven squeezed in plenty of cyclonic motion with the printing press machinery, shaking desks, rolling pencils, truck tires, helicopters. Which leads me to the final WOO parallel — the pageantry. Spielberg loves to showcase the bystanders, especially when they stand behind the protagonists as did the munchkins and the citizens of Emerald City. 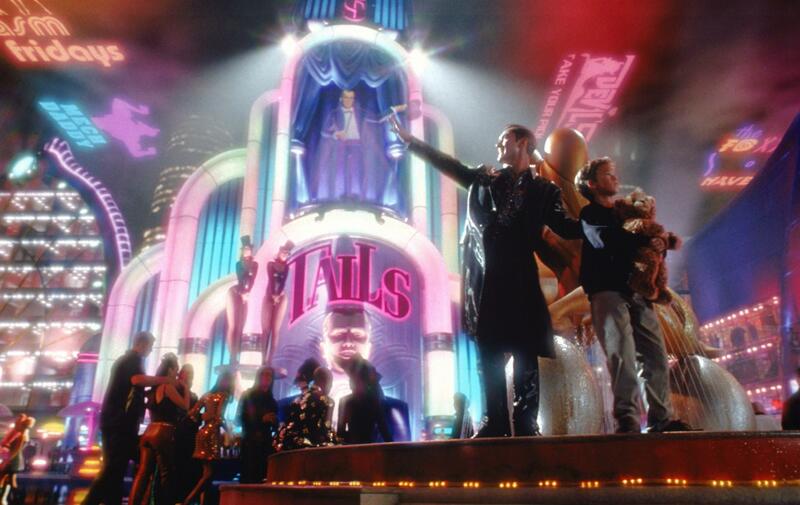 And there’s plenty of eye smarting support to be had in this film, (the protestors, the other newspapers), just as in other powerful pictures like Schindler’s List, The Terminal, Empire of the Sun, Sugarland Express to name a few. 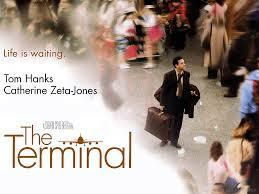 Great film. Don’t miss it. Freshest WOO moment: “I am your humbug servant,” says the word-bumbling BFG to the Queen of England. 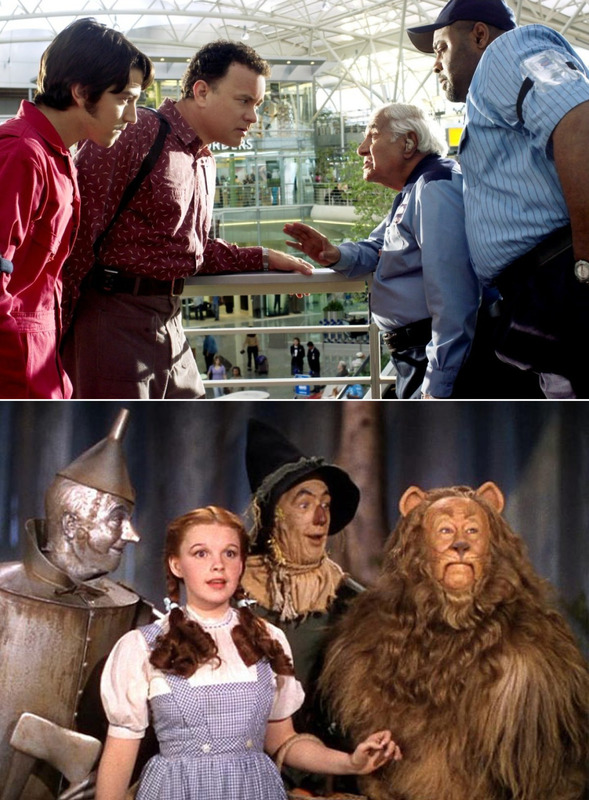 We all remember this scornful accusation hurled at the great and powerful Wizard of Oz when Toto revealed he was nothing more than a humble little man ‘behind the curtain’. 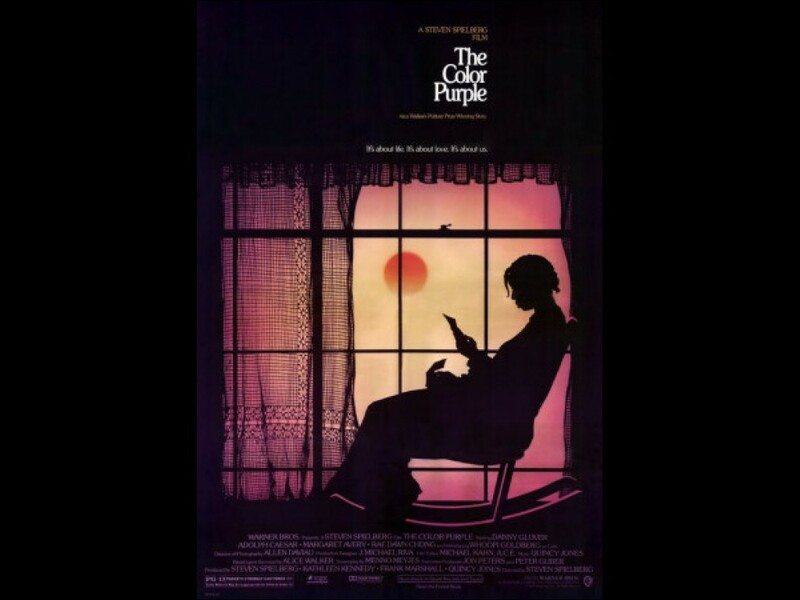 The film and trailers showcase an open window, the curtain blowing inward, the tempting light and Sophie’s irresistible urge (despite sensible warnings to herself) to peek out. She spies what she ought not to have seen, resulting of course in the giant being forced to abduct her. 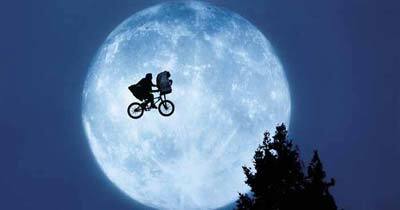 They fly in soaring leaps against the moonlit blue sky recalling shots from E.T. Transcending reality by means of flight to enchanted lands is standard Spielberg/WOO fare. I was amused by the scene where the squadron of British helicopters must follow BFG to the land of giants. In other Spielberg projects such aerial armies hearken back to flying monkeys. Here he reverses himself and they are portrayed instead as a promenade of solidarity for Sophie’s cause. Natch—flying monkey references always denote evil. 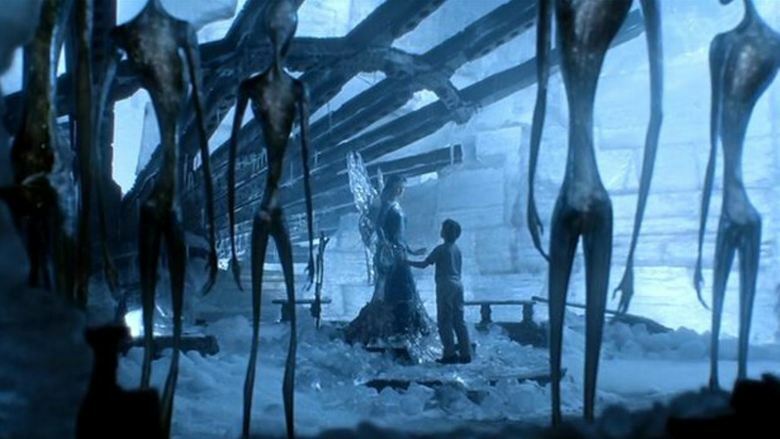 This seems like a good time to point out Spielberg’s essential theme: Sophie’s overwhelming desire to return ‘home’, complicated by the conflict that ‘home’ is no longer safe from marauding giants. Leading of course to the requisite ‘quest’, to stop the evil giants. Steven’s mysterious recurring green goo gets another cameo as Sophie emerges from the snozzcumber. The set for BFG’s house is whirring with cyclonic motion, spinning water wheels, circulating wheel barrels, even Steven’s beloved bicycle re-tooled as a hand mixer to whip up the ingredients for the queen’s dream. Finally I must point out yet again prodigious use of red and yellow, (Steven’s homage to RG color space?) I noted it first with the little red jacket Sophie turns inside out to spare BFG his painful memories. Its subtle tones of scarlet and ochre enhance her chameleon goldish-red glasses and her blushing lips. Later I detected that even her shabby nightgown was sporting a faded pattern of red and yellows. The pigment duo boldly moves to multiple repetitions of crimson and gold at the queen’s palace: the guards, servants, walls and carpets. Hello, Cyclone! 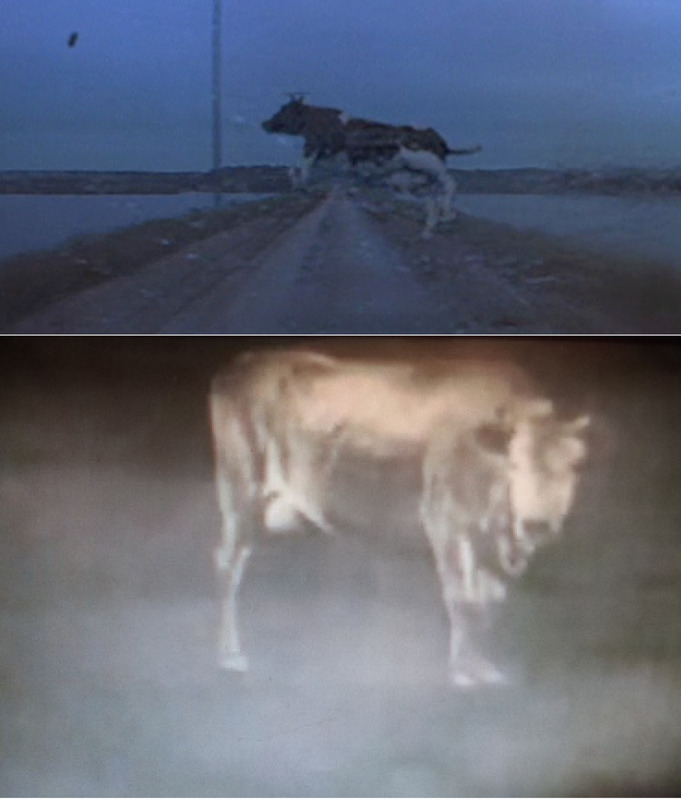 You will see a cow(or two) flying by mooing just like in Dorothy’s version and a boat—minus the fisherman. 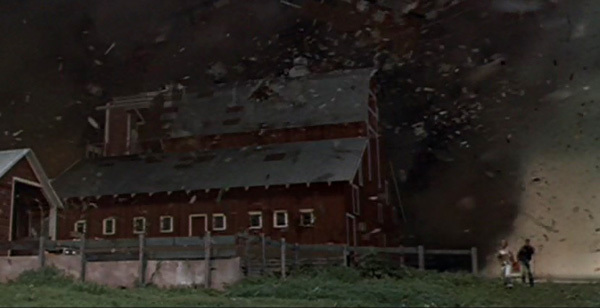 In fact, producer Spielberg’s tornado is chockfull of good stuff. I think I even spotted the insane tractor trailer from Duel! See War of the Worlds, Super 8, Poltergeist for more cyclonic ‘clinking, clanking, clattering collections of caligenous junk’. The intro shows a defining moment in Jo’s childhood when a tornado unexpectedly strikes in the middle of the night. On her bed is a Toto-like terrier named Toby who, despite scampering at Toto-speed, almost doesn’t make it into the storm cellar. See The Adventures of Tintin. Also see War of the Worlds for another unsafe storm cellar! Is it me or does Jo’s old farmhouse sport that ‘air of grayness’? Re-occurs when Bill prepares ‘Dorothy’ in the hailstorm; there is a shot up the curving, hilly road with fence-posts. The color washes away to black and white and—for a moment—viewer is back in Kansas. The absence of color hints things may get a bit hopeless. See E.T. the Extraterrestrial, War Horse, Schindler’s List, Twister, Joe Vs. the Volcano, Twilight Zone the Movie Kick the can Episode, Poltergeist. The telemetrical prototype is named ‘Dorothy’. Looked to me like the footbridge Jo and Bill cower under during first tornado was identical to Victor Fleming’s old fave in WOO and GWTW. See A.I. for more detail on similar sets. At the drive-in, Bill’s new girlfriend is in her room when a gust suddenly blows the window curtain inward. 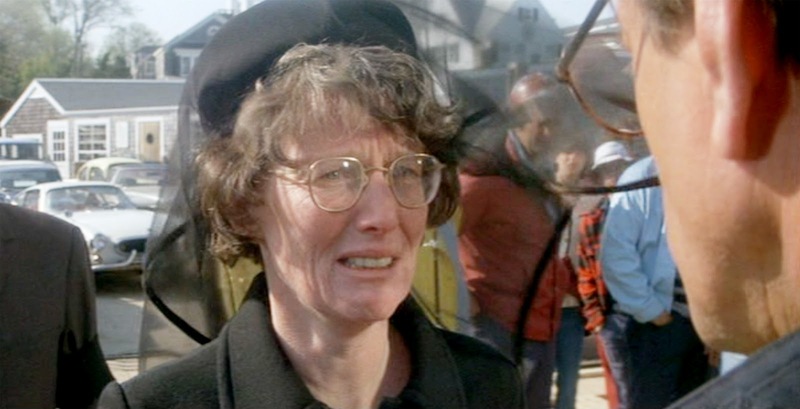 This is a classic Spielberg sign that life is about to radically change for her as it did for Dorothy after the bedroom window knocked her out cold. Sure enough, Melissa breaks up with Bill moments later. See Empire of the Sun, Catch Me if You Can, Hook, Twilight Zone the Movie Kick the can Episode, Joe vs. the Volcano, Poltergeist. We glimpse Judy Garland on the TV at Aunt Meg’s house before the F-5 hits. Aunt Meg’s artwork consists of giant whirligigs that chime conspicuously to warn us the Big One is coming. When Jo gets the idea of how to make the measuring devices inside ‘Dorothy’ fly, we hear chimes. Chimes sound again when the pinwheels fly up inside the twister. WOO always forewarned us of Glinda’s approaching magic with chimes. 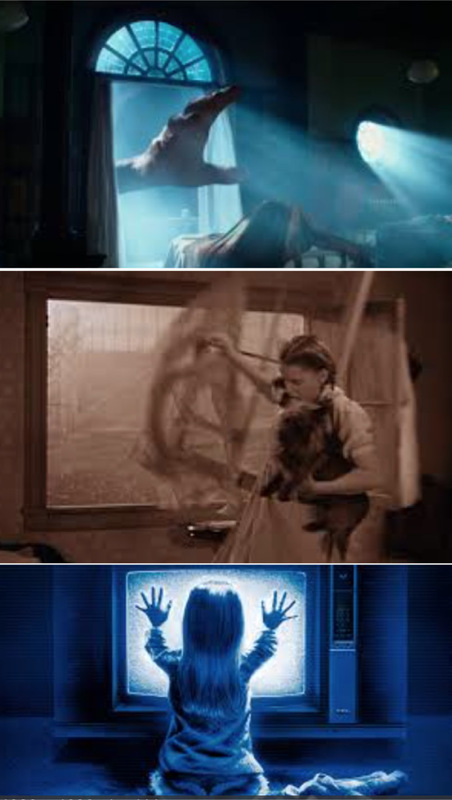 See Always, A.I., E. T.,The Color Purple, Jaws, Close Encounters, Empire of the Sun, Super 8, Twister, Twilight Zone, Joe vs. the Volcano, Poltergeist. At one point, in F-5 you will see an exact replica of Gales’ farmhouse roll by on its side—an amusing twist on the classic shot of its rooftop from above shown in WOO and other Spielberg films. See Minority Report, Raiders of the Lost Arc, Close Encounters. The main characters dash on foot through a field of sunflowers…a sure sign they will prevail over trials ahead. Certainly the WOO companions did after surviving the poppies. Fields test characters and generally mark turning points in Steven’s works. See Always, Saving Private Ryan, The Color Purple, Lost World Jurassic Park. Interesting references to Sugarland Express: the entourage of rival black SUV’s that dog Bill’s company echo back to that long line of cop cars. Also a repeat of the red and yellow color scheme can be found at the drive-in. 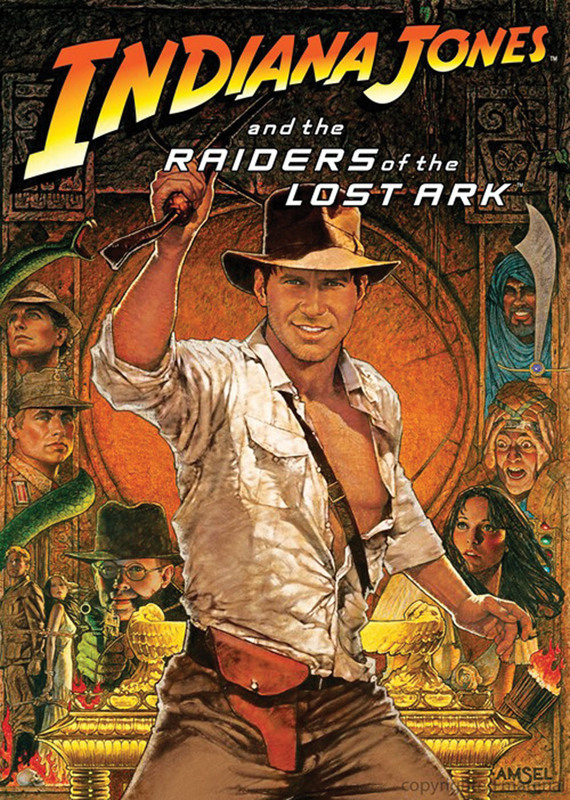 See Indiana Jones and the Last Crusade, Schindler’s List, Jaws, 1941, Joe vs. the Volcano, Inner Space, Jurassic Park, Used Cars, Sugarland Express, Poltergeist for other homages to the red and yellow commercial for Technicolor devised by WOO. 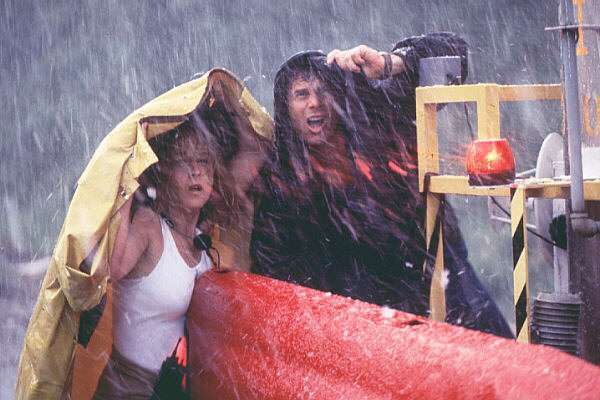 Also Jo and Bill defy Lou Jean’s opinion that ‘it don’t do no good runnin from a tornado‘ by doing exactly that! See Minority Report, War Horse, WOO for references to “Run, Toto, run”. Despite the utter destruction wreaked by the F-5, the conclusion shows a family’s home unscathed. The haven untouched. Sanctuary. See See Twister, Close Encounters, Empire of the Sun, Catch me if You Can, Minority Report, Amistad, The Color Purple, Munich, Poltergeist, The Terminal for safety of home.